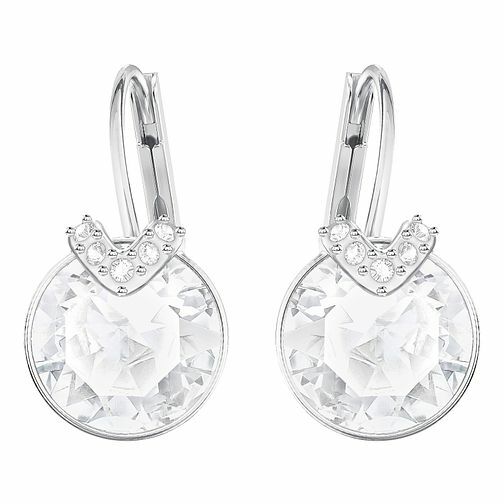 Simple, delicate and on-trend, these dainty drop earrings feature clear crystal. Perfect for everyday wear. Swarovski Bella Rhodium Plated Drop Earrings is rated 5.0 out of 5 by 1.